I have received this error several times today while using Marketing Analytics: "Session not found, missing session hash: pPrUmPpzVQi/tNwYmVTlLvuLVlq2vMrlBVwmKXRKGqU= This error usually occurs after a session expires or a user logs out." Can anyone tell me why it is doing this? SF Support was unable to help and directed me here. Thanks. What are the changes that are manually to be done while migrating the data from sandbox to production org. How to make the picklist field is required in Lightning component ? I have a picklist field valid values are A, B or C. I am using this field in lightning component. When the screen presented, the default value should be "None". If user is not chaning this picklist field to valid value - A, B or C, system throw an error message it's required field and valid values are A, B or C. How to acheive this functionality ? Pls note that "None" is not a valid picklist value... but the field should be set to "None" when the screen comes up. I want the user should see only leads created by him and if he is the owner. What setting in my org i need to make to satisfy this usecase. Also What is the difference between createdBy and owner ? From android native app login page using SalesforceSDK how can i hide/remove menu option. I want to restict users they should not change server url. I'd like to describe this case in detail: First , we have created an custom sObject which OWD is Private Second, we have an approval process on this sObject and user created an record and submit for approval Third, his manager reassigned user's request to another person who has no right to view user's record because OWD is private and also has no role hierarchy with this user My question is : Can we add custom logic when manager reassign this approval to another person? So that we can apex sharing this record to person. I want to give access to user for opportunities and lead of only which he is the owner. and only to certain record types.. This is in fact a new org created for this superbadge, so I'm not sure what the issue is. Hoping someone can help as I've already sunk a decent amount of time into this and would like to proceed. In classic, I used the below which worked perfect! This is not working in Lightning. We need page redirection based on the current application name. We tried in Apex too with "DescribeTabSetResult". But Apex retains the last application used or being used by the user and carries it over to Lightning. It ignores the user selection in Lightning and also the current displayed app in Lightning. Any help in this regard would be greatly appreciated!!! <lightning:dualListbox label="Some field" name="some name"
3. While creating the Radio Button what needs to be taken for "choices"
We have a class and trigger in place which is now producing the error listed below. It is referencing an Apex Class and an Apex Trigger of where the issue is stemming from. Can someone help me figure out how I can correct this? 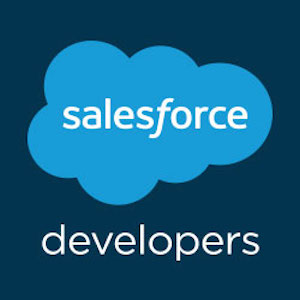 Urgent Pls - how to get user name from salesforce id ? I have 18 char id for the user. But I want to get the User name using the 18 char salesforce user id in Apex class. I tried to use the SOQL query to get the user name... it's exceeding the governer limits.. any other way getting the user name plase .. thanks. I attempted to download the XML for the work I had finished, create a new org and move over the reports/dashboards I had made, but I'm getting a security issue when I download the files and attempt to open the folder via MavensMate. I am the system admin on my pc. Is there anyway I can avoid manually recreating all of these configurations? I created a new playground for this badge and after I got this error, I tried to do this challenge in a new DE and got the same error. what is Namespace in apex? I want to get grand total of formula field.My report is meant to give the movement of work in progress value from month to month. For the same I have created two formula fields and every thing is working fine. Now what I want is to get grand total of one of the formula field. It is a matrix report. Please help me with this. I created a process builder recently. As it was no longer in use I deleted it from my org. Now, while making any changes in the records I am still receiving the mail with error message regarding process builder failure. The flow tried to update these records: 0034100000TxUl2AAF. This error occurred: ALL_OR_NONE_OPERATION_ROLLED_BACK: Record rolled back because not all records were valid and the request was using AllOrNone header. It would be helpful of you if you can solve my problem. I have a question regarding Salesforce and AWS - S3 integration. Do they have any standard approach to integrate with Amazon AWS - S3 or not ? If any, Can you please specify and suggest to us, which method we could use ? Problem statement : Want to access files attached to Case objects using the SFDC rest api or by executing SOQL query. The following is what i have tried so far but no sucess. I am using a SF dev account. A workflow has been set to read email with invoices and convert into case with attachments. I dont see any attachments info. Moreover, I dont see any object called Attachment in ObjectManager. I also see that the attachments are visible under Files but dont see a way to use SOQL Query api to fetch those. So, can anybody provide any info as to how to fetch attchments referred in cases programatically in Java. 2. Button Behavior - Call out the Account object so you can create a "New Account". how to print a report in click of a button in lightning ? how to print a report directly in click of a button in lightning ? without exporting as excle!? How to send the data to third party Application when the record is getting created in salesforce? I want to send a record third party Application..whenever the records getting created in salesforce. KIndly provide me some solution how to send it . Any one have any idea how to use "Cumulus". can you share me any one link for downloaded this i mean trail version. "Cumulus” related to the deployment. I have an Apex class that I am using as a custom controller to send an email from a VF page. In that class I have constructed the email subject and body to have predefined text but the user still has the option to edit/add on to it on the VF page. PROBLEM: I am trying to add a link to the email body in the constructor in the Apex class so that the person receving the email can directly go the record that the email is refering. String body = 'Hi ' + Contact.FirstName + ', \n' + 'This is the account I am talking about + (hyperlink) acc.Name + ' Lets discuss some more." But that just prints the whole string, along with the link, and doesn't make the acc.Name hyperlink. I also tried adding a commandLink on the VF page between the body tags but that doesn't work either. We are writing a batch program which will create CSV file and save it to documents.another batch will fetch CSV files from documents and zip them together.But It is causing CPU Limit exceeded or heap size exceeded for large file (say 5 MB). Can you please suggest a workaround to do this via apex? I have a challenge that I want to share the related contacts to the other accounts contact. This is in a community scenario where a community user should be able to select any of the related contacts to the account. As per now they are only able to select the contacts which has a direct relationship and not on related contacts. Does anyone have a apex sharing for this scenario? It does not talk about the Product ID,Why is it so? However ,In the Salesforece org when I look at the fields of OpportunityLineitem I do see ProductID as lookup field.Can somebody explian why ProductID is missing from the diagram.I am sure I am missing something here. I came across a issue that apex cannot process xlxs, xls but didn't get clear explaination. Can anyone explain why we cannot process xlsx,xls but can only process CSV and other format? I am trying to solve one of the lightning trail heads of creating Camping list. But the button "Click Create" has become static and is not working.Please help me so that it works!!!! Can Anyone help in resolving this ? If I create a Big Object and then delete it is that counted towards the 100 big object limit?